Friday’s Featured Food: Four for dinner at Iskender Restaurant in Kizilay, Ankara, Turkey. I’ve been inspired by these types of moments recently. I have to say a big hello and thank you to Selin Ozgur, a local Ankara lady who came across my blog online and met up with us in Ankara on our visit to the Turkish capital (check out my best of Ankara post and the awesome Hotel Capital we stayed in). 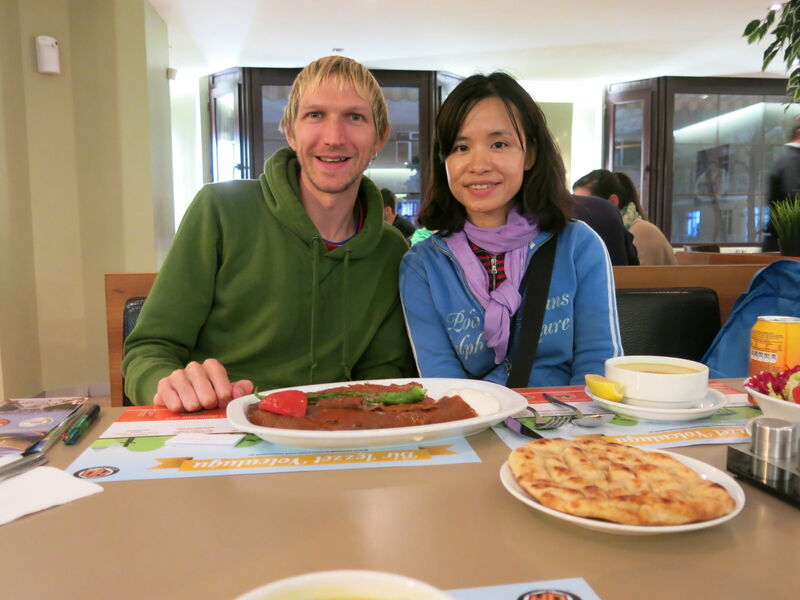 We agreed to go for some Turkish food, and headed to Kizilay in Ankara. Kizilay is like the hub of Ankara for restaurants, bars and cafes. It’s a cool area. Selin and Oguzhan in the Iskender restaurant in Kizilay, Ankara, Turkey. After arranging to meet Selin outside the Dost Bookstore, Panny and I headed there. 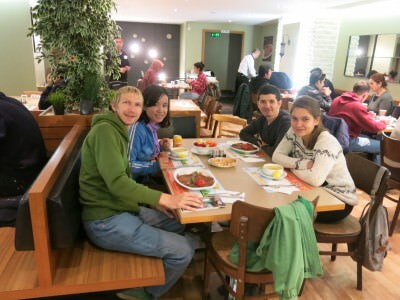 We met Selin and her friend Oguzhan and decided on a Turkish dinner. We headed to HD Iskender Restaurant which is in Kizilay and easy to find. They have a “trademark Iskender” and hoardes of locals flock here to sample it. Just being in Ankara had made me bouyant for some reason. No backpackers, not many tourists, a day of sightseeing and now eating local. Sitting down for Turkish dinner in Ankara, the capital. It is a Turkish kebap (kebab) on a plate. The meal consists of a load of lamb doner meat with a special sauce on it (can’t describe the sauce but it’s so tasty! ), bread, tomatoes, a chilli pepper and sour cream/yoghurt on the side. All in all a full plate just waiting to be devoured! 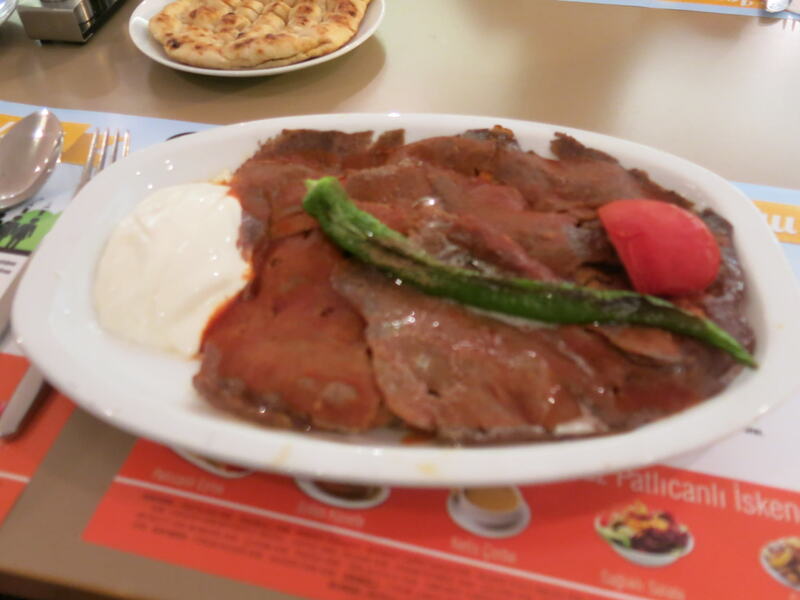 Friday’s Featured Food – an awesome plate of Iskender in Ankara, Turkey. Where Can You Try Iskender? Turkey. Or failing that – at a Turkish restaurant that has it on the menu. My advice as ever is to head to Turkey to try it. Avoid Istanbul if you can, as the prices there are inflated due to the increased amount of tourists. It’s cheaper in places like Ankara, Adana and Eskisehir. Ask around and locals will know what you mean. We went to HD Iskender but there are a load of other places that sell it of course. How Much Does Iskender Cost? I went for a large which was 13.95 Turkish Lira. Admittedly this isn’t the cheapest meal you’ll get in Turkey (kebab with Ayran can be as little as 3 TL in downtown Ankara) but it’s worth it. A smaller portion costs 11.95 TL. Look around and you might nail it for under 10 TL, but it’s worth the price whatever. 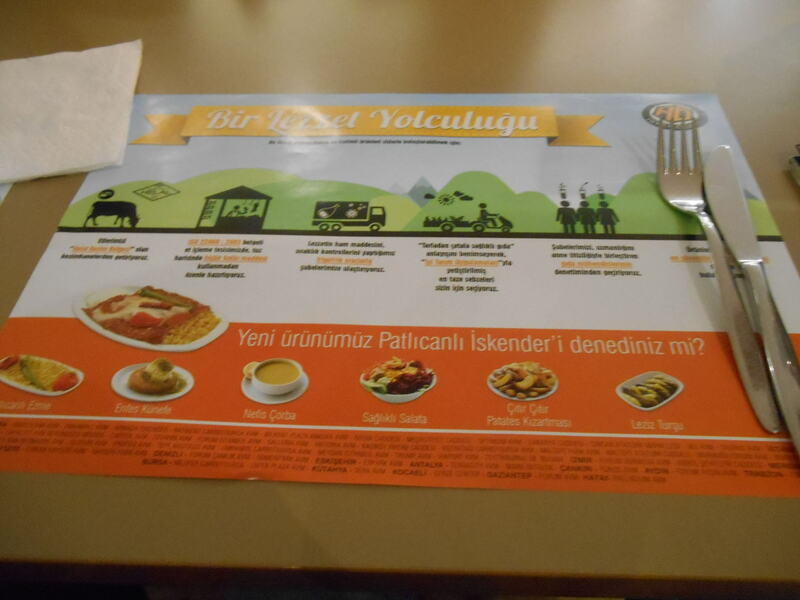 The menu in Iskender Restaurant in Ankara, Turkey. What Does Iskender Taste Like? Iskender is delicious!! I scoffed the lot in little or no time and loved it. Probably having lived and travelled in Asia, Africa and Middle East only for the last couple of years, I was loving this type of food again and couldn’t get enough of it. 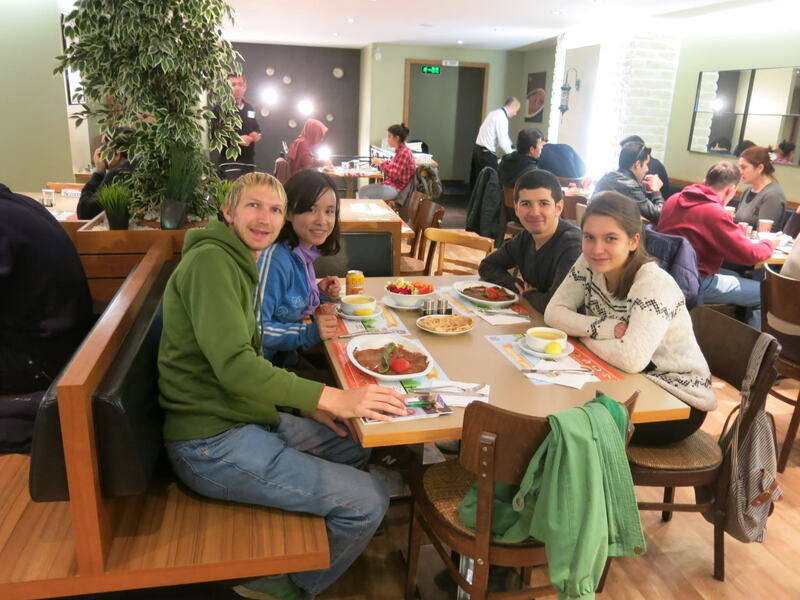 Thanks a lot to Selin and Oguzhan for taking the time out to show us their city and enjoy the cuisine with them. Loved it! 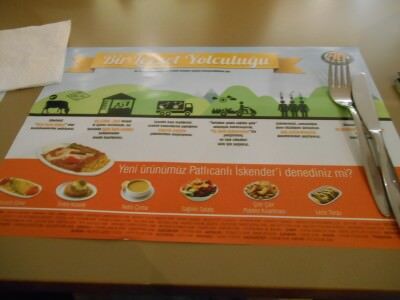 This entry was posted in Ankara, Central Asia/Middle East, Daily Features, Destinations, Friday's Featured Food, Turkey. Bookmark the permalink.